Fitness technology startup company ARX has created a headset equipped with augmented reality that enables the wearer to turn their workout routine into a game. 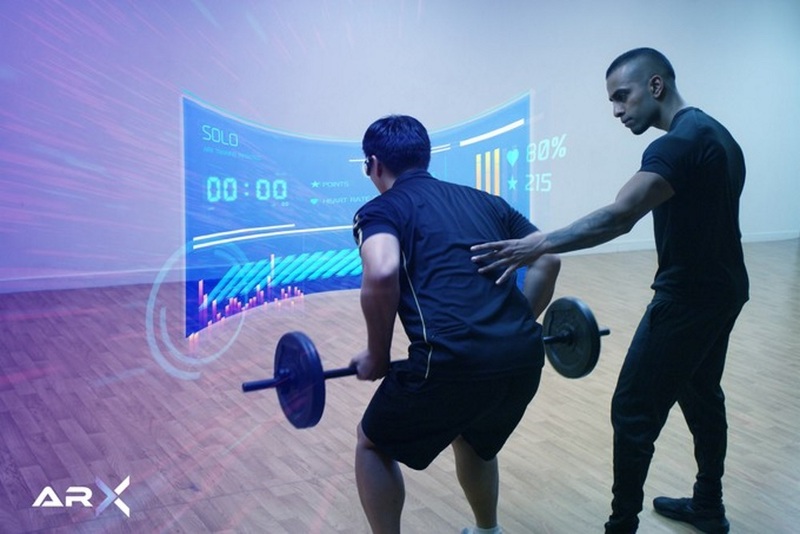 The wearer can choose to either see the real world in front of them with floating text to monitor and track their workout routine, or enter a virtual environment where they play a game associated with their exercise. For example, if a player starts a series of squats, the headset brings up a game where the wearer will face a horde of zombies coming after them. In the game, the player receives a crosshair and every time they perform a squat, the game releases a fireball. For every hit, the player receives a score. Some games focus more on exercise, counting the number of repetitions the wearer performs. The more the wearer works out, the higher their score. To add competition to the experience, the developers allow players to compare scores and challenge one another to see who can do better. ARX will release a beta version of their device this month.